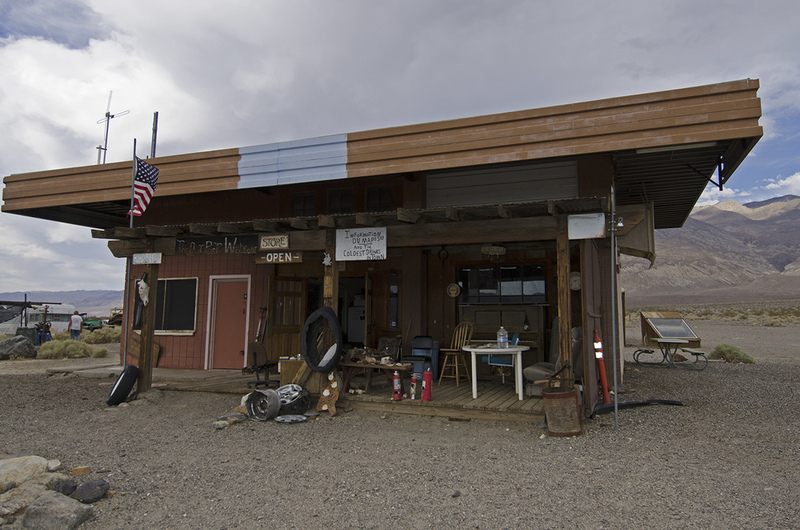 I had just left the neat little ghost town of Ruth's Camp and was heading north on the Trona Wildrose Road. My plan was to stop at Ballarat and then continue north, connecting with CSR 190 and thence to Lone Pine to spend the night. I made it as far as Ballarat, where I discovered that the road ahead was closed due to being washed out during the most recent flash floods. Ballarat now had my full attention. 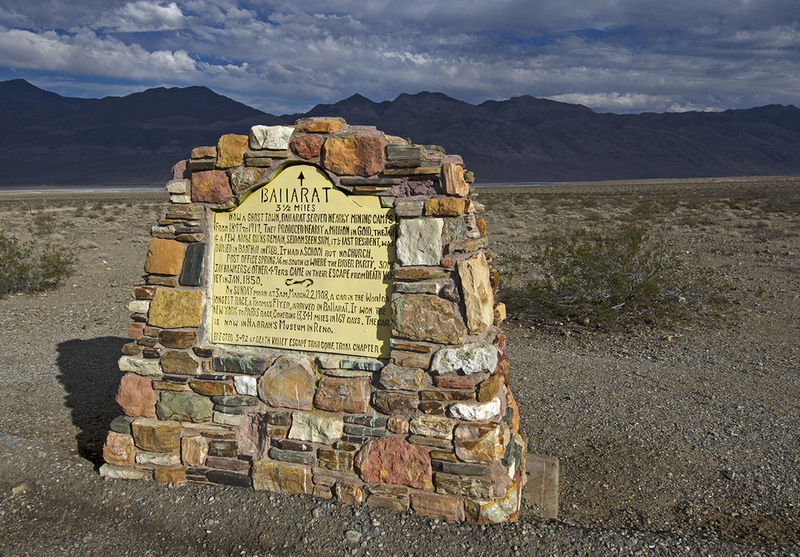 Ballarat was born from the dust and has been on its way back for nearly 100 years. 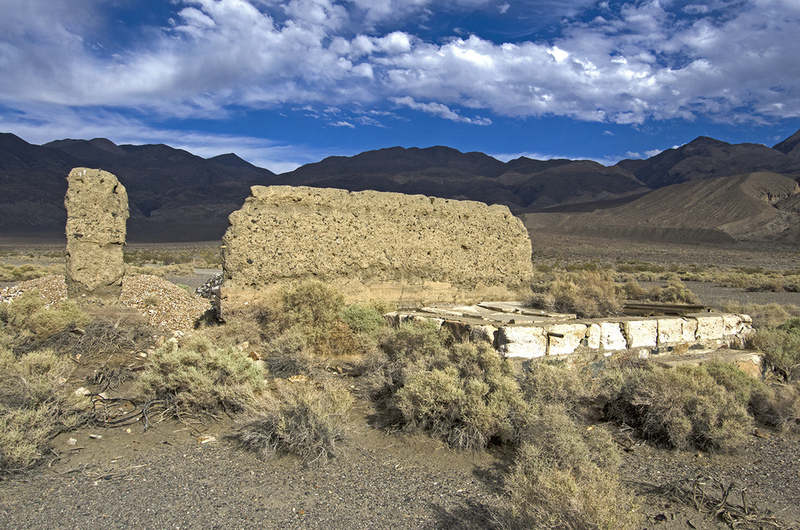 The town got its start in 1896 as a supply point for the nearby mines of the Panamint canyons. It reportedly received its name from a young Australian immigrant named George Riggins. Maybe he thought naming the town after Ballarat, Victoria in Australia’s gold country would bring good fortune. And for a very short while, it did. During its heyday from 1897 to 1905, Ballarat boasted a morgue, a jail, a post office and a school. There were 7 saloons, 3 hotels and a Wells Fargo office. Some 400 – 500 hardy souls called the place home, but there was no church to be found in Ballarat. 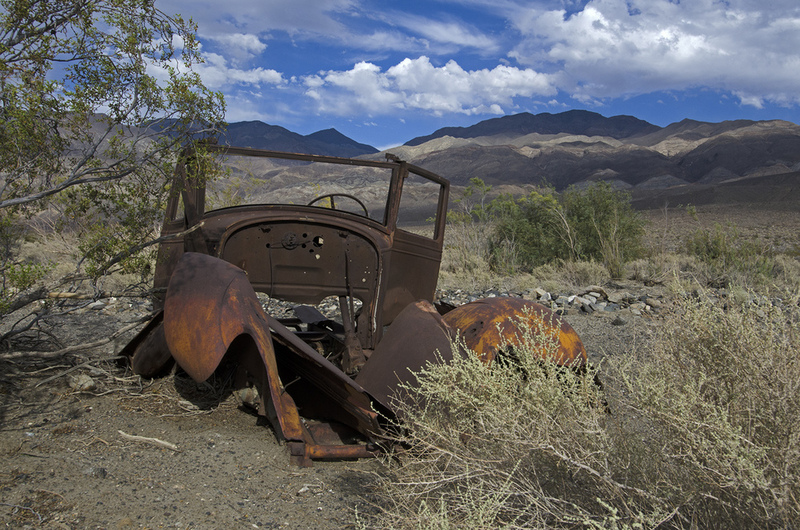 The town was basically a place for prospectors and desert wanderers to resupply, let off steam and wet their whistle, sometimes in the company of pretty ladies. 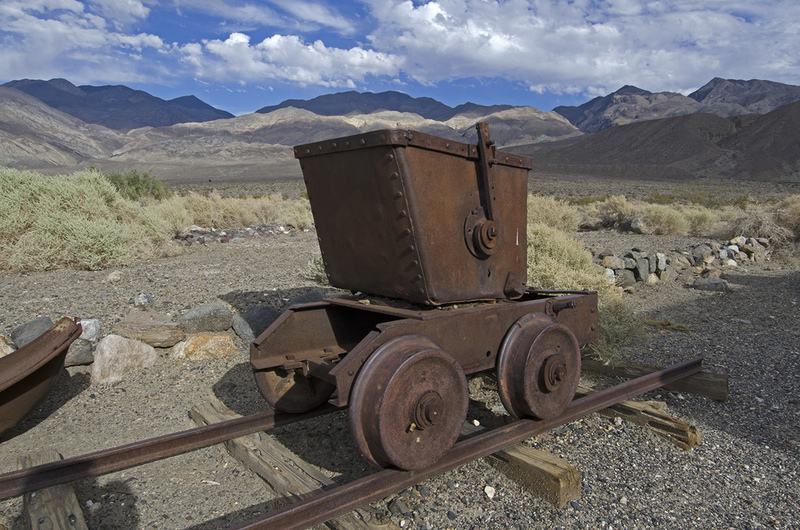 Ballarat’s fortune was tied to the local mines in the area, as there really was no other reason for the town to exist. And when the mines started to play out and shut down, so did Ballarat. By 1917 the post office had closed and most of the population had moved away. 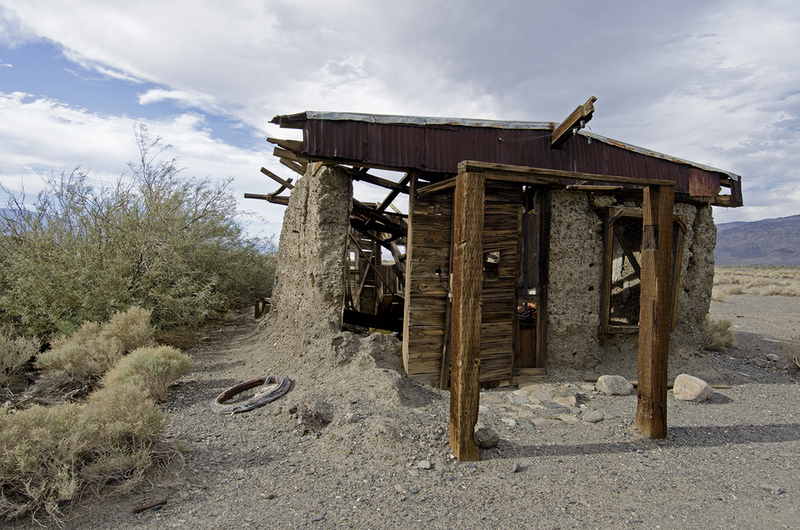 But a few die-hard prospectors remained and the town has had an inhabitant or two ever since. 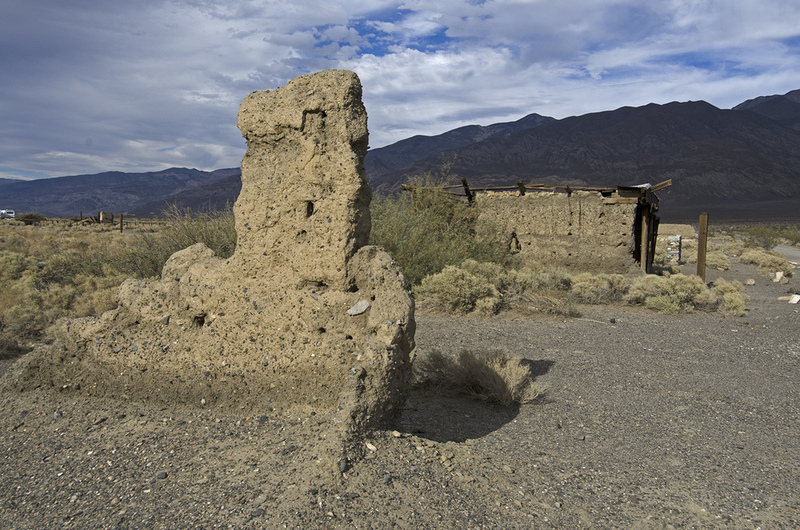 The buildings were mostly made of adobe, as there were no trees or other materials close at hand for construction. And they are returning to the earth. One of Ballarat’s most famous citizens was Charles Ferge, better known as “Seldom Seen Slim.” Slim was a prospector, a true desert dweller. He spent 50+ years living in Ballarat and working his claims in the surrounding desert. Click HERE to read more about him. 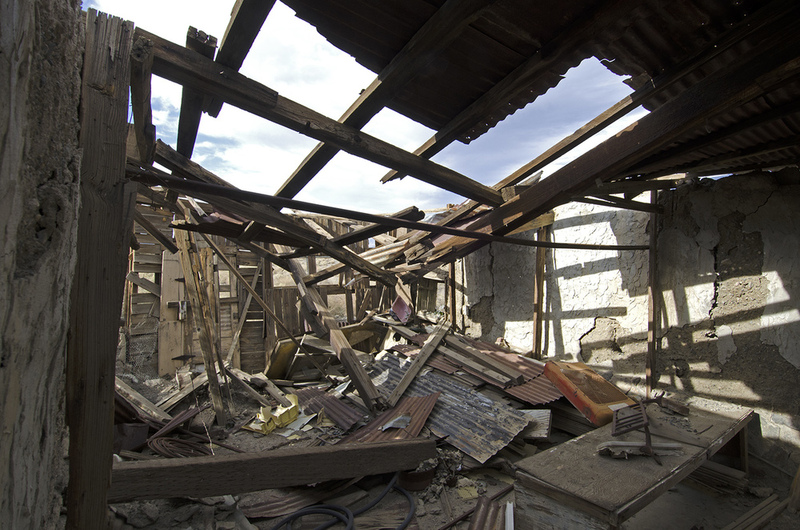 I spent about an hour wandering around, taking pictures of the building ruins and the General Store. The store is an interesting spot, part museum, part store, part I'm not sure what. The gentleman who runs it told me that the road north was closed and being worked on, and advised me not to try it. I thanked him for the information and then hit the road. It was getting late and I had to backtrack quite a ways to get back to I-395, so I could make it to Lone Pine for the night, and dinner at the Pizza Factory. I'll be making a return trip to Ballarat some day, I know there are some places there I missed on this trip and so I need to go back to see what else I can find.